Magnus Carlsen: "I fight to the end... I like to try and put pressure on my opponent and people crack under pressure"
Carlsen won the match in Chennai, India, with a score of 6.5-3.5. He has now achieved the highest rating of all time. But he misses out on being the youngest player to win the title. That honour goes to the Russian Garry Kasparov. He was younger by just a few weeks. Speaking at a press conference after the victory, Carlsen said he was "very very happy to have won and to have completed this match. "Let's write the history books later!" he added. Carlsen has won 60% of the total prize fund of $2.24m (£1.4m), while Anand takes home the rest. 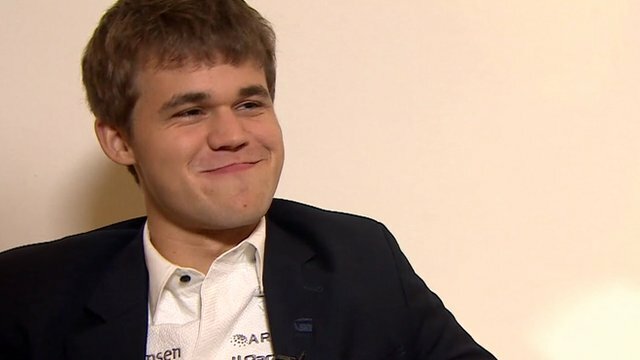 Carlsen went into the tournament as the firm favourite, but was cautious about his chances of winning. On Thursday, when it looked as if he was nearing victory, he told reporters: "This was a very difficult game. There was a fear of being mated all the time". The young Norwegian stands out amongst chess players, not only for his game but for his persona. A part-time model who has appeared on the front cover of GQ magazine, he exudes an affable personality. Chess champion Susan Polgar commentated on the game and described him as "having a different style and a very good sense of humour. He will be a "good boost for chess", she said. A view echoed by analysts who say he is likely to change the perception of the game. 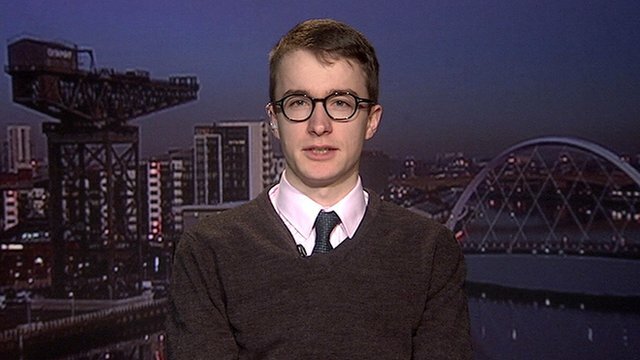 The Russian grandmaster Garry Kasparov has dubbed the young Norwegian as the Harry Potter of chess while others have compared him to Mozart. Anand needed a straight three-game win to keep his title but entering the competition on Friday he conceded that it would take a miraculous turnaround to keep his chances alive. "I can try but the situation does not look very good," he said on Thursday. Anand, also known as Vishy, praised Carlsen saying "it's clear that he dominated". Despite having been world champion since 2007, 43-year-old Anand was ranked number eight in the world. But his role in promoting chess in India, a country obsessed with cricket, is without parallel. "He's a legend, and he's done a lot for chess in India and Asia, so he's a fantastic role model," Polgar said. Latvian president Andris Berzins says the collapse of a Riga supermarket in which at least 54 people died must be treated as a case of murder. What's in store when Comet Ison swings by Sun? How do we stop the sea rising up to meet us? Do we develop defensive measures - or just run for the hills? 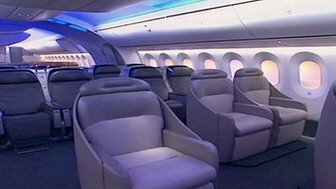 Could we ever see wider seating in economy?